de l’inutilité acheter viagra livraison 48h des bombardements aériens. de propagander sans répit et de le diffuser. Yale University ou acheter viagra a montreal Press. ils viagra est il vente libre espagne expulsent ou pas les requérants. Mais le jour (proche. vendredi 22 achat viagra en ligne france juin 2012 à 22h35. Elle n’avait quel est le meilleur site pour acheter du viagra pas beaucoup dormi et était fatiguée. quatre ans viagra est il en vente libre après sa déception de Pékin. Pour viagra achat net le nord-est du Cambodge. tout argument politique. mais c’est très bien documenté. traduction viagra pas cher rapide de l’auteur. Je vivais achat viagra net en colocation. et acheter viagra en france au sein de la rédaction. un certain Claude Eatherly. avec leurs meilleur site pour achat viagra classes sociales et leurs esclaves. Quand Catch site serieux pour achat viagra 22 sortit en librairie aux États-Unis. This is a study and review of United States Veterans Administration (VA), their policies and ability to care for our wounded soldiers. 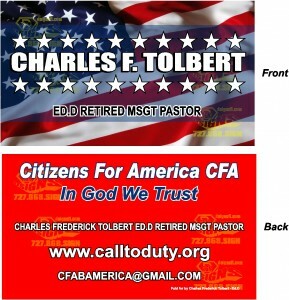 Charles Frederick Tolbert spent 22 years serving the United States of America and defending the Constitution and is now a retired Master Sergeant. Dr Tolbert has a Masters degree in theology and education and in 2010 he received his doctorate degree in educational leadership from Nova Southeastern University. After many negative experiences in 2004 with the veterans administration in Miami, Dr. Tolbert elected not to use the VA because of the spread of HIV, hepatitis, and delays in treatment in addition to the lack of proper medical care. In order to write this review he returned to the Veterans Administration in 2015. This paper will present the experiences he encountered over a six-month period. The formulation of ideas, presentations, delays, experiences and the impact of budget will be the main focus presented, to include conclusions and recommendations. Over the past 30 plus years Dr Tolbert has used both Tri-Care and VA in addition to Medicare when he became eligible. In 2004 he received treatment and care at the Miami VA facility. After his lack of care and his concern in regards to treatment at VA, Dr. Tolbert received care mainly from PPO’s and HMO’s. His findings this past six months is based upon his returning to VA facilities in order to receive first hand experienced concerning VA’s ability to care for our wounded soldiers. The Research Problem. The research problem is to determine if in the last 13 years has VA improved its handling and care of our wounded soldiers. Dr. Tolbert re-applied and received care from a local VA clinic in addition traveled over 40 miles to a VA Hospital. His care, experiences and recommendations will be included in this paper. Background and Justification: In the literature review Dr. Tolbert compared his treatment to those who have or have not been given equal treatment with those who have other options. In the literature review he will present view points of writers and research presented by major news media, the VA administration and the U.S. government. The opinions of other writers appear to be from those who did not have first hand experiences. Writers such as ABC 15 News (2015), writes how the main problems of the veterans lack of care may be difficult if not impossible to solve where in fact with the right leaders and budget all things are possible. After Dr. Tolbert visited with over six VA doctors, went to VA orientation and received care from several different care givers his determination was that the system again has failed. Dr Tolbert discussed with the administrators, nurses and doctors recommendations and received the same response. The lack of funding, staff and proper management at the top, created a situation where our wounded soldiers could not receive care quickly and correctly. To simplify the care Dr Tolbert received he elected to first present the issue of Veterans Choice Program as discussed by ABC News (2015), and Philpott (2015), and the forty mile care rule. Since he lived more than forty miles from a VA medical facility that could provide him with care, he was given a Veterans Choice Care Temporary Program, which few if any writers mention. The procedures for receiving the card is as outlined just for replacement of eye glasses which had broken and were over four years old. He had purchased the original glasses out of pocket in 2011. After seeing an Optometrist, which was difficult because most doctors are unaware of the Choice card, he took his eye prescription back to the VA clinic. The prescription and frames were sent to the VA hospital. After a three week waiting period he received his new glasses and returned to VA eye clinic for fitting. It should be noted that Dr. Tolbert’s visit with VA covered other issues and in all cases the same procedures had to be followed for each. 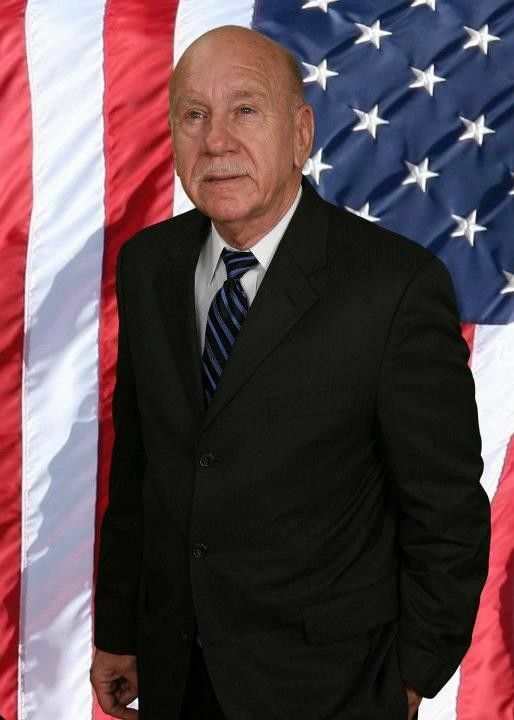 As a candidate for United State Senate Florida 2016 and a retired Master Sergeant (MSGT) in addition to holding a Doctorial Degree in Educational Leadership from Nova Southeastern University, Dr. Tolbert felt from his experiences that most veterans were not properly receiving medical treatment and or advice. While he scheduled appoints, waited for doctors and traveled to the different facilities he had an opportunity to discuss issues and receive valuable insight from veterans, doctors and nurses. Upon the completion of this article Dr. Tolbert will send letters to the current Senators and Governors. The findings presented in the literature review places the burden on Congress, and the State Governors. Because of modern technology there is no excuse for lost records or time delays in the treatment of our wounded soldiers. This behavior is a reflection of the lack of concern for the defenders of our constitution. Articles and statements after the fact, by senators, concerning the false documentation were not followed up on, and instead bonuses were paid, according to the New York Times (2014) and News Max (2014) all of which is over ten years since the first reported cases of infection. When these reports were first presented in 2009, the VA failed to notify or respond to their lack of management. Instead, they passed the blame to others, even though those at the top received major bonuses which could have been used for the care of our soldiers. Articles concerning the budget such as Hickey (2014) and News MAX (2014) does not address the problems facing the wounded defenders of our country and the constitution. In 2015 the U.S Office of Veterans Affairs presented the 2016 budget of $168.8 billion which is an increase of 7.5% even though there is a decrease in the number of veterans who needed treatment. It declined by 4.3 million according to reports presented in Hickey (2014) due to the death of WW II veterans. The cost of increase over 193% is being presented as inflation rather than lack of leadership and management, which would not be acceptable at a non-for-profit or for-profit hospital. In the article ABC (2015) Friedman who is a veteran, writes that the OIG report has been overly sensationalized even though veterans have died and are not receiving proper care. In this paper Dr. Tolbert presented the budget, the lack of care to include delays in treatment given our veterans. In addition he discussed the manner of which veterans have contacted infectious diseases and the programs available to him. These programs may not be available to soldiers who did not retire from the military. Since Dr Tolbert served over 22 years in the Army and is a retired MSGT in addition to being 20% disabled, in care he received treatment from Tri-Care Life, VA and Medicare. The failure of government run organizations are well documented, and the transfer of these organizations is the key to Federalism. Our constitution protects the rights of all people under amendment 14, yet our defenders of this great country are treated as second class citizens. The task of applying for and receiving medical care through the VA is unacceptable. No person, regardless of their military service or non-military service, should have to suffer the emotional stress created by the lack of care and the increase of physiological and psychological pain. Even though there may be currently affordable care for our soldiers and veterans, which now exceeds 14 million through the affordable care act, and in 2001 retired veterans were allowed after the age of 63, to use Tri-care life in addition to Medicare part A and B, it is still not a solution. By allowing all veterans (wounded soldiers) access to Tri-care and Medicare, we transfer the bulk of medical care to organizations who understand the importance of care and efficiency. With VA overseeing the care and assignment of ID’s, all veterans would have access to HMO’s and PPO’s and the cost to the budget would be drastically reduced. The closure of VA hospitals and the issuing of ID’s to our veterans is only the beginning in the reduction of suicide, spreading of diseases and lack of care. There will still be a need for local VA offices to assist these veterans to insure their transfer into the new system. However as an out processing and transfer from the military to civilian care this procedure can be expedited. Hot Air (2014, June). Could the veterans be issued some form of Medicare / Medicaid ID card. Retrived from http://hotair.com/archives/2014/06/14/can-we-make-every-hospital-a-va-hospital/ . Philpott, Tom (2015, March). Senator Vows to Soften VA ‘Choice Card’ 40-Mile Limit.Retrieved from http://militaryadvantage.military.com/2015/03/isakson-vows-to-soften-40-mile-limit-on-va-choice-card/ . Fiscal Year 2016 . Retrieved from http://www.va.gov/budget/products.asp. Thought you would like this if you have not gotten it already. To all who receive this….my apologies, with all the research I have inserted it is a little lengthy…..please take 10 minutes and go through this information. CVA is just scratching the surface on dealing with the horrors going on behind the doors of the VA……. ……by the way……a quick trip to the Spectrum Group in Alexandria, VA, shows clearly that Mr. Principe appears as leadership, but upon examination of leadership bios…..we do not find Mr. Principe anywhere……his credentials are now suspect….he is listed as having been a part of the Base Closing committee and is in that same department under the “Spectrum Group”. One has to wonder what the government is paying out of the VA Budget annually to contract with these guys……my God, the layers of the onion never end…..
What if we just divide that 182.3 billion and give it to all vets to do with what they need most….i.e. the amount divided between our estimated 21,000,000 vets nationwide would be about 8,680. Why don’t we give them that money to purchase their own health care to address their own unique needs and shut down the corrupt and ruined VA who have been gouging veterans for decades? Any monies they don’t use for health care insurance could be put into an HSA account to use for co pays, etc. The VA is a useless, gigantic weight on the backs of veterans nationwide and taxpayers who love and want to help veterans, but are forced to fund this sleazy organization that is hopelessly corrupted by left leaning socialists who are milking it dry. We should completely shut down the VA for one year and re-staff it at 10%, using veterans only, who are actually qualified to do the job rather than a bunch of union jerks who are there because they kiss union tail and vote democrat. Admittedly I don’t know the ratio of veterans to civilian VA employees as it is difficult to find online but (another shocker) I am also having a tough time finding what MacDonald’s salary is as the corrupt and politically correct head of this sad, foul and slimy organization. I wonder what Mr. Principe’s organization makes in a year, as government consultants and that money coming out of government coffers….is it VA money? Retired service members and their families (5.2 million). The cost of providing that care has increased rapidly as a share of the defense budget over the past decade, out-pacing growth in the economy, growth in per capita health care spending in the United States, and growth in funding for DoD’s base budget (which finances the department’s routine activities but has excluded funding for operations in Iraq and Afghanistan). Between 2000 and 2012, funding for military health care increased by 130 percent, over and above the effects of overall inflation in the economy. In 2000, funding for health care accounted for about 6 percent of DoD’s base budget; by 2012, that share had reached nearly 10 percent. If you are covered through the FEHB Program, you will not need a Marketplace plan. HOW about that????? these guys get up to 75% of any premiums they may pay covered by their employer……that would be DoD a.k.a……US…..how many of these employees have no connection to the military?…. WHOOPS!!!!! How in the heck did THIS happen?????? If you are a Member of Congress or official congressional staff, you may be required to enroll in a Marketplace plan for 2015, but can keep your employer’s contribution to your premium. Learn More. Congress has a current total budget of (well surprise, surprise…..we cannot easily find a budget that is used by Congress so let’s go this direction) $96,570,000….that’s just their base average salaries folks, does health care coverage for congress and staffers come out of that budget? no……do the congress and staffers buy their own health care as mandated by Obamacare? No, well, where in the HELL are they getting money for health insurance coverage from? It’s the OPM! Congress and their 17, 127 staffers have decided it qualifies as a small business and so have granted themselves certain exemptions from Obamacare reserved for small business…….how did it happen? It happened by their own vote…..congress and it’s staffers are hopelessly corrupt. Why are Congress Members and their thousands of staff being covered by OPM rather than their own damned budget? I have a theory Mr. Principi: BECAUSE CONGRESS IS CORRUPT AND DOESN’T WANT TO HAVE TO PAY FOR ANYTHING and they are willing to use and abuse our citizens, our warriors and our veterans to not have to pay……THEY WANT A FREE RIDE AND THE STAFFERS THAT MAKE A LIFE LONG CAREER OF STAFFING FOR CONGRESS DO THE SAME THING, they have no problem milking veterans in need either……THEY DON’T PAY FOR THEIR HEALTH COVERAGE…….they are not there to serve the average citizen, they are there to get rich and powerful and then get more rich and powerful after they leave. How about we remove all the LEECHES from the rolls of the DOD health care system budget? Then we can set aside more money for use by actual VETERANS, MILITARY, RETIREES, etc. Why don’t we shave off the Congress and their staffers and let them crawl their sorry butts back under the slime from whence they came and allow health care money to be spent on those it was meant to be spent on? These people make plenty of money, they should be paying for their own damned health care……the median household income right now nationwide is 53,000 per HOUSEHOLD…..let’s take a look at congressional salary and the salaries of their staffers check the next visual to compare the growth rate of congress members (just the member, not the household) and the growth rate of the average HOUSEHOLD in America. for Congress/Senate and their staffers….. If Congress/Senate decreased their staff by 50% each……literally hundreds of millions of dollars would be instantly saved…. Use our research engine to look up current and former congressional staffers and view salary and expense history, contact information, and more. How about this Mr Principi……we get rid of Public Health Service and NASA personnel from being covered by Tri Care, step one. Step two get rid of Tri Care, add this extra 55-60 billion (given growth) over the last five years to the budget to take care of all soldiers, retirees, wounded warriors and veterans and allow them to buy the insurance they need for their particular situation and seek out, through private practice rather than VA sources, what they need and reduce the VA to about 10% of it’s current staff….and by the way every damned one of those employees should be a VETERAN. They can help soldiers locate and purchase the insurance that will best suit themselves and their families. This money should go to them every year until their death occurs, their spouse dies or they divorce and their children until the age of 21, then the kids can GET A JOB and buy their own insurance under the “wonderful” Obamacare system…..with a system like that in place I can see now the fall of our socialist regime on the left as kids and the rest of the nation sees how simple life can actually be WITHOUT government intrusion…..
182.5 + 55 = 237.5 billion which would equal about 8,000 per year for each of the groups mentioned above plus our veterans. or $660 per month to pay for health care insurance premiums, much more than the average person needs for monthly premium payment even for that disaster Obamacare. If our slimy, corrupt government would put this money into a pooled account and then NOT ROB IT each year, there would be more than enough for every military active duty, injured, retired or veteran to take care of their own health care, without waiting/suffering/dying at the hands of some idiot/lying incompetent, they could receive mental health care in privacy and not have to fear having their weapons taken by an intrusive government if they go for help, etc. There would be no unconstitutional mandates imposed on these private physicians by our rogue dictator….excuse me – president…… and we would save millions upon millions of dollars overall in health care spending by the government and our veterans would receive the best care without waiting and our economy as well would receive a huge economic stimulation by the inflow of new business and health care demand…..what? no doctors and nurses owned by the government? What a concept!!!! I’m sorry Mr. Principi but the employees of the VA ARE NOT good people and we are finding that out more and more. No matter how the government attempts to cover up the horrendous abuse of our beloved veterans the slime and filth at the VA are being found out and they should be made to pay, not only with their monetary resources, jobs and benefits, but with their freedom. There should not be another bonus given to any VA employee under it current state. As the woes of the VA continue to mount and Vets wait for care, some options to consider. The VA has ballooned to over 365,000 employees. Are vets feeling better? ‘Total VA funding has grown by nearly 86 percent from 2009,” says the headline of a document put out by the Department of Veterans Affairs this year in support of the agency’s fiscal year 2017 budget request for $182.3 billion. Politicians and government officials argue that increases in VA funding demonstrate a willingness to support veterans and their legitimate needs. Many of the increases are justified because of the higher costs of providing health care and the growing numbers of veterans receiving compensation and pension benefits. Yet our concern should not be about the amount of money the VA spends. We should focus instead on the impact that money has on the lives of veterans. While the annual budget was growing over the last decade, there have been cuts to literally hundreds of programs throughout the federal government, many of which directly benefit veterans and their families. • Realign the separate VA and Defense Department health-care systems. Together, the two health systems receive more than $100 billion in taxpayer funding every year. A fully integrated system would help control health-care costs. It also would help VA and Defense Department employees—who provide care to the same veterans and active-duty service members at different points in their lives, although Defense also cares for dependents—refocus their efforts to provide coordinated world-class care. • Close unneeded facilities. The VA is no longer a hospital-centric organization. The department’s health-care services, like those outside of government, have been significantly decentralized to locations such as the VA’s 1,215 community-based outpatient clinics. Much of the money now being spent to maintain infrastructure would be better deployed to pay for doctors and nurses delivering top-notch medical care. • Refocus the disability-compensation system. The spouses of heroic men and women killed in Iraq and Afghanistan fighting against ISIS, al Qaeda and the Taliban receive the same level of death and indemnity compensation, pension benefits and home-loan benefits as my widow would, should I die of prostate cancer that may or may not have been related to my service in Vietnam 46 years ago. Inequalities like this will cause the American people to question the entire rationale behind the veterans disability-compensation system, which is still based on principles developed in 1917. We need a compensation system that understands today’s economic realities: One that focuses first on veterans whose disabilities were incurred in combat or while training for combat. One that rewards veterans for overcoming their disabilities and becoming productive members of the workforce while taking steps to improve their health. • Do more to integrate private providers into the VA health-care system. In recent months, a task force formed by Concerned Veterans of America has suggested giving every eligible veteran the opportunity to receive health care from private providers, while also giving them the option to use the VA for care if they prefer. We shouldn’t fully privatize veterans care. There are many exceptional people working for the VA, and its health-care system has helped tens of millions of veterans live better lives. But the department needs to focus its health-care and research on issues of particular importance to veterans, such as prosthetics, rehabilitation, spinal-cord injuries, post-traumatic-stress disorder and suicide prevention. Private providers should augment the VA in caring for veterans unable to receive timely care. At the end of 2004, my last year as secretary of Veterans Affairs, the VA had some 235,000 employees. Today it has more than 365,000. The number of staff in VA headquarters in Washington, D.C. and throughout the country has increased by 32% since 2008. They are good public servants. But many are health-care and benefit professionals who should be providing direct care or services to veterans and their families, or managing VA facilities in need of better leadership. The VA is a great organization, one whose accomplishments played a major role in the greatness of 20th-century America. It’s time to reform and rebuild the department so that future generations of veterans, their families and all Americans can benefit from its services and its achievements. Let’s stop throwing money at the VA’s problems. Instead, let’s fix them. Mr. Principi served as secretary of Veterans Affairs from 2001 to 2005 and was chairman of the 2005 Base Realignment and Closure (BRAC) Commission. He is now chairman of the Spectrum Group, a government-relations firm in Alexandria, Va.